LIBBIs, or Library student workshops, are designed to help you be a successful student, who also develops lifelong information literacy skills--the ability to define, retrieve, evaluate and use information ethically and legally. LIBBIs cover research essentials using ORU Library resources and are intended to support your research efforts. Most LIBBIs last 50 minutes; Composition 102 LIBBIs are 1 hour and 15 minutes. To attend some LIBBIs you may need to sign up in Vision. LIBBIs are held in the Library Instructional Lab, or LIL, which is located on the LRC-4th floor in the back area beyond the periodicals. The LIL is equipped with 30 virtual machines to offer each student a hands-on experience. Who can attend a LIBBI? 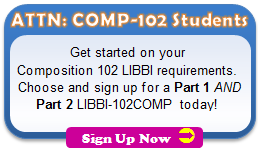 Some LIBBIs are optional and open to all students; others are restricted and/or a course requirement. For example, LIBBI-499ILL is an optional workshop available to all senior paper students while LIBBI-102COMP-1 and -2 are two required sessions for Composition 102 students. If you are required to sign up for a LIBBI, follow the links in Vision to the Library Seminar pages. Sign-up is possible up to 30 minutes prior to a session. After you sign up just show up on time in the LIL. To view step-by-step instructions on how to sign up, change to a different session, or find out what session you signed up for, use the "How To" tab on this page. You will need your ORU network login (your email address minus @oru.edu) to participate. Please make sure it works prior to attending the LIBBI session. 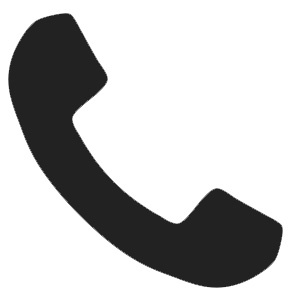 For help, contact the IT Concierge Desk at studenthelpdesk@oru.edu, call 918.495.6321, or go to the it.oru.edu website). Questions? Inquire at the Reference Desk, LRC-4th floor ( 918.495.6887) or contact Myra Bloom (918.495.7174). Faculty members may request a Library Instruction session by contacting Myra Bloom, 918.495.7174 or completing the Library Instruction Request Form. Library Instruction provides proficiency workshops, course and subject related workshops, and workshops covering various topics, resources and skills. Faculty members are always welcome to attend LIBBI sessions, but they are not required to do so, even when a LIBBI is for their class or assignment.